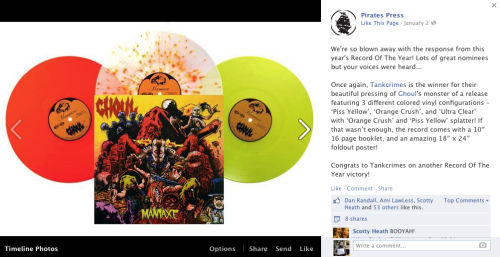 While I’m sure some of it had to do with the fervent fan base and maybe even partially the music, it’s nice a record I did the design and layout for was voted Pirate’s Press “Record of the Year” by Facebook voters. 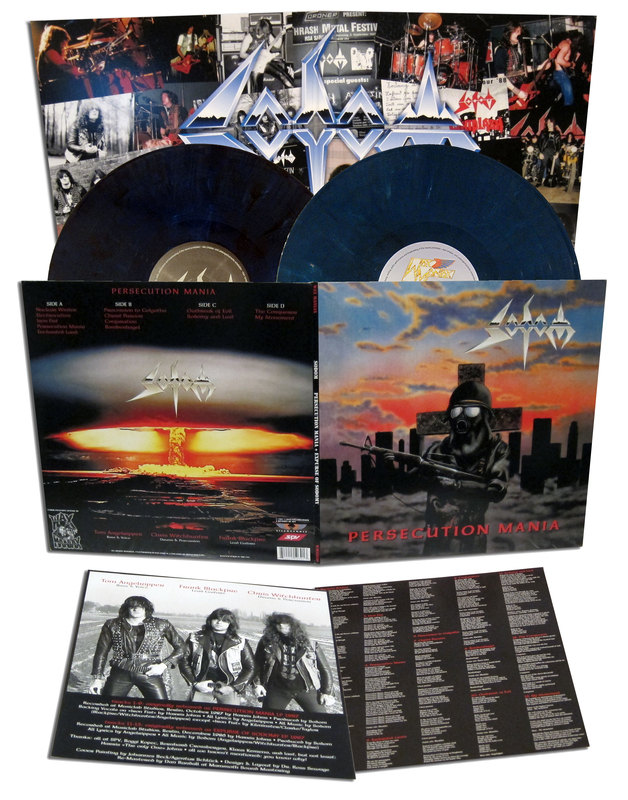 Ghoul’s Maniaxe LP won the prize, but let’s be honest…. it was mostly ’cause of the layout, right? Doing the layouts on a 10 year old record is no joke. A lot of people were waiting for Ghoul’s second full-length to be on vinyl for a long time and expectations were high. I didn’t want the packaging to disappoint. It wasn’t easy because 10 years ago no one bothered to make sure everything was prepped for this big-assed release.